EBSCO Discovery Service offers a single access point to search a vast range of our library's resources. It is an online research tool that "pulls together" almost all of our Library resources (except databases) so that they can be explored using a single search box. Physical Collection Search provides the facility of searching, browsing, and reserving physical materials available at library. Users can log in, check status of the issued books, suggestion, fines, create reading list, etc. J-Gate @ e-Shodhsindhu is a single search online gateway, customized for the members of e-Shodhsindhu Consortia. It facilitates journal search and discovery across all consortia subscribed, library subscribed and many more having access to full text. Vikram Sarabhai Library subscribes more than 95 online resources.This search helps in locating the particular database. I am talking from the Library at IIMA which is one of the central resources of this Institute. It's not just a central but one of the best maintained resources over here. I avail several services from library. One thing is for help in my research, most of the times I find most of the journal articles I need in the library. And when I could find someone I send out a mail, it's just a matter of hours before I get the article that I need so it's very prompt and very quick service that can be offered here. Then there is also one feature which I really like that no other library that have been part of does, one is they send out mail on Monday. Every Monday talking about the new books they have procured and this list is anywhere between 30 to 50 books so we get an idea about what are the books that are coming in and once you so I make sure I go through the PDF which has information of the book cover and some information of the book and then we can reserve it and come picking up later. So you get an idea about the books that are in the market which are current and also you get exposed to wide variety of topics at the same time. I really liked that service and I have not seen that anywhere else. Then apart from that this library is very open to its community members not just the people who are part of the institute but also the family members who are part of the faculty, members and students. So I have my family members who walks- in without any worries and then they can access the resources over here so the library is very open and is also very supportive to everybody who walks- in through its doors or sends them an email. So when you come to IIMA do make sure you visit the library. 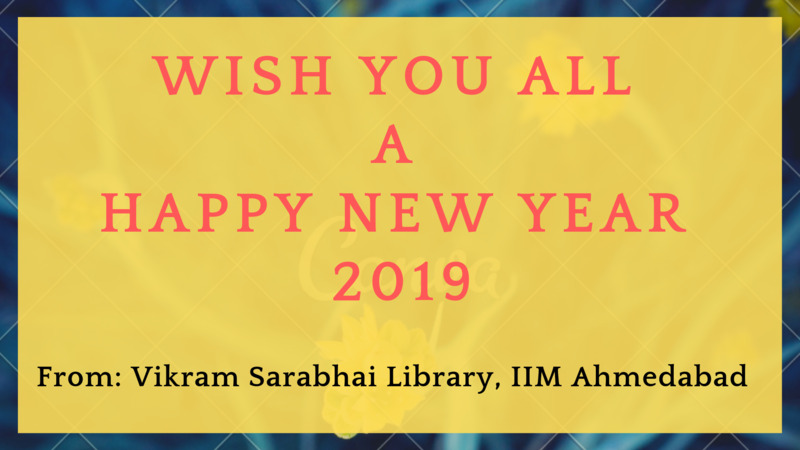 Vikram Sarabhai Library primarily is a very critical resource for the students as well as the faculty alike. I as a faculty mainly use the library mostly for my research activities especially for the journal articles that I need to access. Most of the journal articles that I need for my research activities are generally available from the library. For very few cases where the journal articles are not subscribed by the library, I find the staff members very eager to procure them very promptly through the services like inter library loan facility. Apart from that, I often use the library facilities for reference books for the courses that I teach. In very few instances where the books that I am looking for are not available, the library is very prompt in procuring them for me. In particular, I would like to commend the very dedicated team of staff members who are supporting this library. For any paper that I need for my research, they are very prompt in procuring them from other sources if they are not available. I think the best part of this library is you get what you want and that you get quickly than you expected sometimes. Suppose if you are looking for a new book just send one line email and you get it quickly or may be in a three - four days' time and it's not just an information storehouse it's just the way the library shares the information across every stakeholders of the institute. Like for example, if a data is added they arrange a detailed seminar about the data, how to access the data at the same time they share if a new book is arrived and not only they keep on sharing the list of books but the contents of the book. Now it gives a feeling all the time to look around the message that we are receiving from the library and you really feel like at least in a day once you visit the library and this has happened not just because it is a reputed institute library. This is all possible because of a set of people who oversee it, they are extremely good, they are competent, they are always smiling, they are always there to help you out. You go and ask I want this they are ready to help you. Overall, I do not feel shy to say that we have one of the best libraries. The Vikram Sarabhai Library has a special place in the campus and in the life of students here. There are three important aspects or parameters for a library. Vikram Sarabhai Library is one of the most conducive places for doing research. Second is the regular library service. As far as my knowledge goes, the library has more than 2 Lakh titles and several copies of each of the titles so you never fall short of accessing or finding a certain book. The third most important and crucial aspect that links up the whole thing is the staff. The staff at Vikram Sarabhai Library is not just knowledgeable; they are very helpful and very cooperative. In terms of professionalism, I would definitely rate them at least 9.8 on 10 if not 10 on 10. Vikram Sarabhai Library has something for everyone that is the best part of the library. The staff create a conducive environment for you to do research or gain knowledge. How innovative Vikram Sarabhai Library is, thinking ahead of time, the Library has bring in Kindle Lending because in the future it will be more about digital access, e-library so now itself the Vikram Sarabhai Library is moving towards digital lending. The best aspect of IIMA community is that everyone here enjoys reading using the many facilities that the VSL has for every generation. The staff is highly dedicated to operate VSL for 24x7. The absolute best thing is the online catalog and the option to hold a book thereafter. 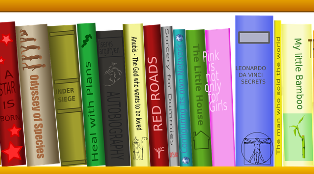 The latest books added to the shelf are also notified regularly keeping in mind the interest of the reader. The IIMA community is lucky to have VSL. The kind of facilities Library provides really encourage students to come and read. I appreciate the initiatives like provision of putting a request to purchase any book, theme based display of books, the intimation of new arrivals and provision of finding books on basis of frequency of issuing. The whole library staff is very cordial. I really appreciate the Institute for extending such a facility. IIMA library has been one of the best libraries I have ever visited. For me, it was equivalent to another dwelling in addition to my room. I have spent more hours at the library than my room for various purposes academic and non-academic. The variety of books available to issue and flexibility to renew them without having to visit library makes it even better. The service that I utilized fully was the Kindle provided. The availability of Kindle Unlimited service helped me read numerous books and provide a welcome change in my daily routine. Vikram Sarabhai Library is one of the unique and great knowledge centers for the knowledge seeker. VSL provides the infrastructure, facility, and staff professionalism which help IIMA fraternity to receive quick service and prompt response. VSL is one of the best libraries that I have visited so far. I have thoroughly enjoyed the silence zones in the library. Majority of my time on campus has been spent in the library. The simple reason being one is able to work with utmost efficiency at this place. This is also one of the most professionally run libraries that I have used. The staff is extremely cordial and prompt including the security guard. They implement suggestions in lightning fast speed. I have seen VSL evolve in unimaginable ways over these years. I also love to attend many of the events that are organized by VSL. Apart from the endless stacks of books, very useful set of database, e-books, archives etc., the library is a place offering various seating areas. VSL is much more than a library for me. Vikram Sarabhai Library is my go-to place for reading, research, and discussions. Wonderful ambiance, world-class resources (both digital and physical collection) and helpful staff are the key highlights that set apart this library from any other library in the country. Well equipped with resources and databases, the library stands out as an epitome of Business Knowledge in the world. The friendly staff and the propitious atmosphere is something that VSL possesses and is the backbone to the entire structure. The kind of infrastructure, resources, databases that are provided in VSL encourages us to come and read at the Library. The whole library staff is very cordial. Vikram Sarabhai Library has played a crucial role in aiding my learning at the institute. The setup of the library encourages collaborative learning with peers, which is very important in a B-school. Particularly, I am thankful to the support of the library staff, even during odd-hours. My requests to procure a specific book and subscribe to a database were promptly addressed. Guidance with the usage of the 3D printer is also commendable. Since all of their services are digitized, it was very convenient for many of my batch-mates who lived on the other end of the campus. Especially, facilities like Holding a book, online renewal and drop-off facility at the new campus were very useful. During my stint as the student IT representative, I had the chance to work with the IT and website team of VSL, improving the usability and accessibility of the web-based library services. Support during installation of the new printer at SAB was the best. It would not be an exaggeration if I were to state that I spent more time at the library than in my dorm room. Monday - Sunday/Public holidays: 9.00 a.m. - 10.00 p.m. In many warehouses shuttle-based technologies have replaced the traditional AS/R system based storage technologies. The impact these systems have on downstream order picking performance is largely unknown. To study the interactions between upstream storage and downstream picking systems, we develop a novel analytical model for integrated storage and order picking systems. 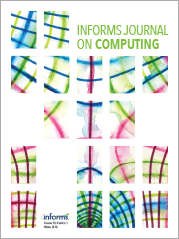 The resulting semi-open queuing model is solved using the matrix-geometric method. Using the queuing network model, we are able to study the effect of storage system technology on order throughput times, and the effect of the picking station input buffer size on order picking performance. Further, we analyze the effect of a constant work-in-process (CONWIP) control for orders on system performance. Our results indicate that using SBS/R instead of AS/R-based storage systems yields investment cost savings (i.e., fewer aisles in the storage area and fewer picking stations), paired with a lower total throughput time at a given order arrival rate. Numerical studies show how the total throughput time, first, benefits and then becomes stable by increasing the input buffer size at the picking stations. Retrieving item tote at the storage system in advance with respect to the picker availability is also advantageous, especially in the SBS/R system. The problem of designing a spanning tree on an underlying graph to minimize the flow costs of a given set of traffic demands is considered. Several new classes of valid inequalities are developed for the problem. Tests on 10-node problem instances show that the addition of these inequalities results in integer solutions for a significant majority of the instances without requiring any branching. In the remaining cases, root gaps of less than 1% from the optimal solutions are realized. For 30-node problem instances, the inequalities substantially reduce the number of nodes explored in the branch-and-bound tree, resulting in significantly reduced computational times. Optimal solutions are reported for problems with 30 nodes, 60 edges, fully dense traffic matrices, and Euclidean distance-based flow costs. Problems with such flow costs are well-known to be a very difficult class of problems to solve. Using the inequalities substantially improves the performance of a variable-fixing heuristic. Some polyhedral issues relating to the strength of these inequalities are also discussed. 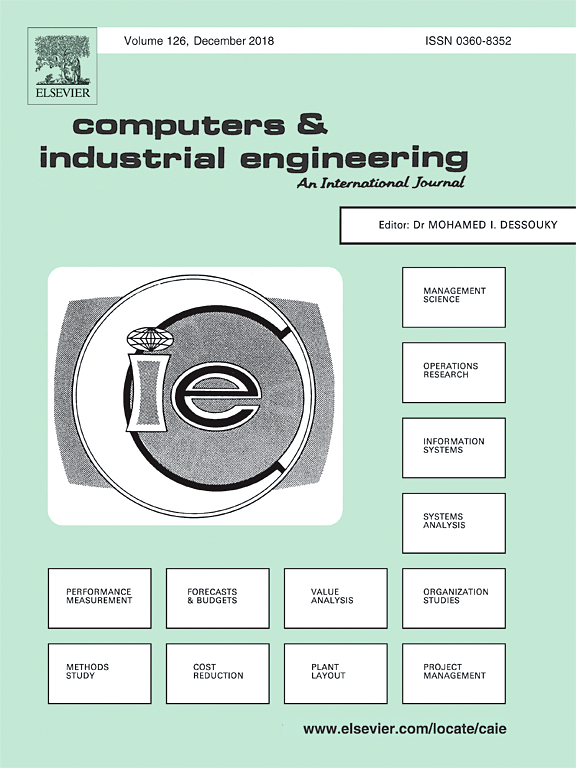 A cutting-plane approach is developed for the problem of optimally scheduling jobs with arbitrary precedence constraints on unrelated parallel machines to minimize weighted completion time. While the single machine version of this problem has attracted much research efforts, enabling solving problems with up to 100 jobs, not much has been done on the multiple machines case. 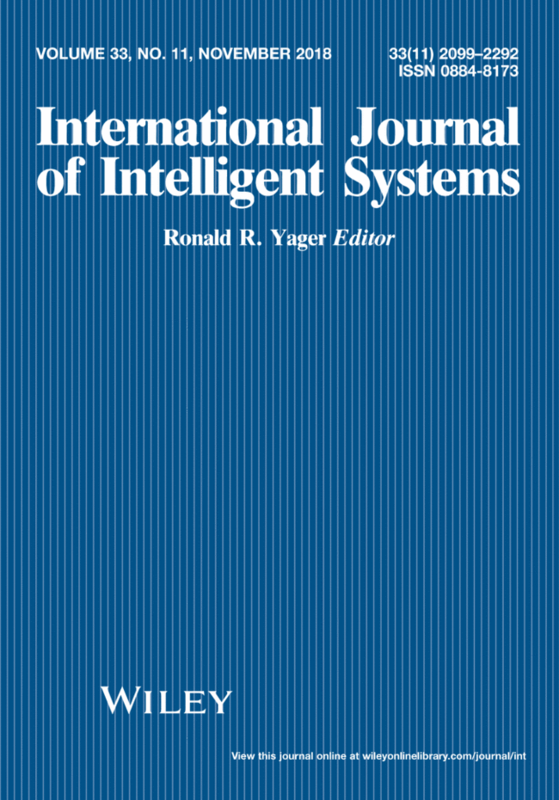 A novel mixed-integer programming model is presented for the problem with multiple machines. For this model, many classes of valid inequalities that cut off fractional linear programming solutions are developed. This leads to an increase of the linear programming lower bound from 89.3 to 94.6% of the corresponding optimal solution, and a substantial reduction in the computational time of an optimal branch-and-bound algorithm for this problem. This enables us to report optimal solutions for problem instances with up to 25 jobs and 5 machines, which is more than twice the size of problems for which optimal solutions have been reported in the literature thus far. For a special case of the problem—that of minimizing makespan—application of our model helps solve 18 of 27 previously unsolved problem instances to optimality. A new family of attitudinal discrete choice models is proposed by considering the attitudinal character and the weight vector, both of which are specific to a decision maker (DM). Given the attribute values of different alternatives, the proposed models give varying choice probabilities, as per the DM's‐specific attitudinal character and the weight vector. It is also shown that the conventional discrete choice models are the special cases of the proposed attitudinal models. The proposed choice models are also generalized through an additional parameter to add to their capabilities. An application on real data is included to demonstrate their usefulness in the real world. Building on the network theory and the concept of organizational ambidexterity, we investigate the impact of structural characteristics of a firm’s whole buyer–supplier network: network density, betweenness centralization, and average clustering coefficient on its international business (IB) performance. We also explore the moderating roles of average path length and PageRank centrality. Using a manually-collected dataset and a robust empirical methodology, we find that, while network density is negatively related, betweenness centralization and average clustering coefficient have an inverted U-shape and a U-shaped relationship with IB performance, respectively. We also find significant moderation effects, and, in the process, we show the economic importance of firms’ whole buyer–supplier network to their IB performance. We contribute to the international business and whole buyer–supplier network literature. 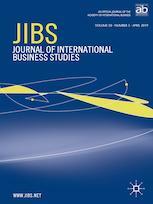 Co-Author: S. S., Bhatia S.
The present study investigates the role of service experience in B2B services vis-a-vis service quality. In particular, the study addresses the question: how do the relative effects of service quality versus service experience in a B2B setting influence the immediate (satisfaction and perceived value) and subsequent customer outcomes (loyalty and word of mouth)? To this end, three surveys were conducted (with a combined sample size of 626) of customers of financial consultancy services. The collected data is subjected to factor analysis and structural equation modeling to test the study hypotheses. Major findings indicate a stronger influence of service experience on satisfaction and perceived value as compared to service quality. Results also show a stronger indirect effect of service experience on loyalty and word of mouth (via satisfaction) compared to service quality. In addition, service experience was found to influence both perceived utilitarian and hedonic value derived from service while service quality was found to influence only utilitarian value. The findings underline the importance of service experience in a B2B setup. © 2019 Elsevier Inc.
Often, in the real world decision making, it is difficult to crisply evaluate the utility values, as required in the case of conventional choice models. Besides, a decision-maker has his/her own relative importance for each of the attributes. The attributes may also be interacting positively (synergy) or negatively, the degree of which is specific to the DM. A new family of discrete choice models is introduced with a motivation to take account of the human factors in the real world multi attribute decision making. More specifically, the proposed choice models are based on fuzzy subjective utilities that are easier to elicit. The proposed models are further extended to take into account the unique attitudinal character of the DM, the relative weight vector, and the degree of interaction among the different attributes. A real case-study illustrates the usefulness of the study. Trust between partners, a key element enabling coordination across supply chains, has recently started gaining attention in humanitarian operations literature. Yet, empirical examination of this concept is scant. 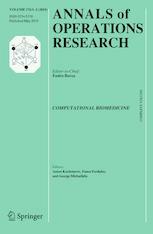 Borrowing from extant literature on trust within organisational behaviour stream, this paper aims to empirically verify trust formation types: companion, competence and commitment, in a disaster relief supply chain using primary and secondary data from an Indian Humanitarian relief organisation (HRO). Further, we identify variations in trust formation during disaster relief activities and developmental programmes, and between upstream and downstream partners of a humanitarian relief organisation. Based on the results of our content analysis, we contend that while companion based trust is significantly more prevalent during developmental programmes, competence based trust is important during both disaster periods and otherwise. We also find that there are significant differences in the trust formation between upstream and downstream partners and the HRO. 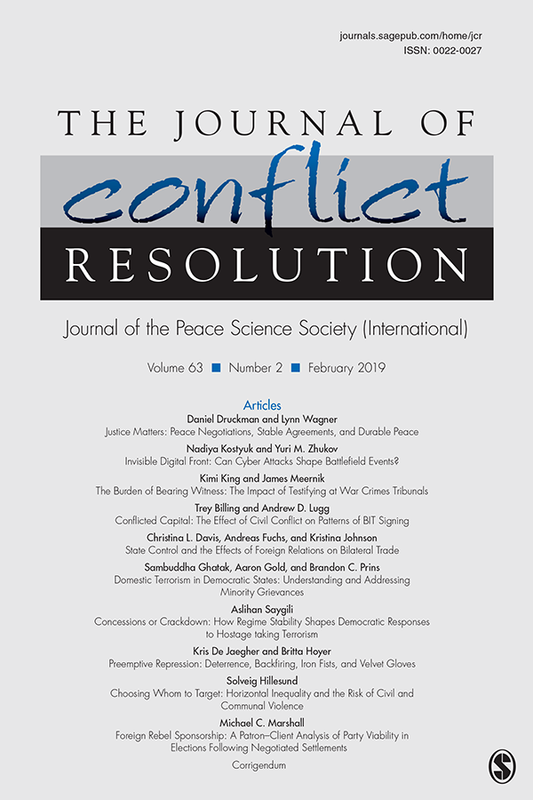 This study has significant theoretical and practical implications on identifying the role of trust in humanitarian operations. Can counterterrorism security be counterproductive? We argue that it can be when the at-risk population acts strategically. We model a two-stage game where the government first chooses the defensive security level for a public place. The second stage is a simultaneous-move game with terrorist choosing terror effort and members of the population deciding whether or not to attend the public place. Our key measure of the efficiency of the counterterrorism security is the expected number of casualties. Under very standard and general assumptions, we show that it is possible that more security leads to an increase in that number. This is because increasing security both discourages and encourages the terrorist. On the one hand, more security makes a successful terror attack less likely (discouragement). On the other hand, more security motivates more people to attend the public place which makes the attack more valuable to the terrorist (encouragement). Integrated assessment models are extensively used in the analysis of climate change mitigation and are informing national decision makers as well as contribute to international assessments. 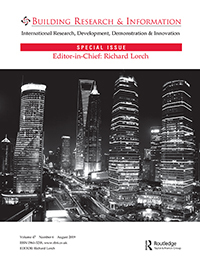 This paper conducts a comprehensive review of techno-economic assumptions in the electricity sector among sixteen different global and national integrated assessment models. Particular focus is given to six major economies in the world: Brazil, China, the EU, India, Japan and the US. The comparison reveals that techno-economic characteristics are quite different across integrated assessment models, both for the base year and future years. It is, however, important to recognize that techno-economic assessments from the literature exhibit an equally large range of parameters as the integrated assessment models reviewed. Beyond numerical differences, the representation of technologies also differs among models, which needs to be taken into account when comparing numerical parameters. While desirable, it seems difficult to fully harmonize techno-economic parameters across a broader range of models due to structural differences in the representation of technology. Therefore, making techno-economic parameters available in the future, together with of the technology representation as well as the exact definitions of the parameters should become the standard approach as it allows an open discussion of appropriate assumptions. Delivery of affordable healthcare services to communities is a necessary precondition to poverty alleviation. Co-creation approaches to the development of business models in the healthcare industry proved particularly suitable for improving the health-seeking behavior of BOP patients. However, scant research was conducted to understand BOP consumers' decision-making process leading to specific healthcare choices in slum settings, and the relative balance of socio-cultural and socio-economic factors underpinning patients' preferences. This article adopts a mixed-method approach to investigate the determinants of BOP patients' choice between private and public hospitals. Quantitative analysis of a database, composed of 436 patients from five hospitals in Ahmedabad, India, indicates that BOP patients visit a public hospital significantly more than top-of-the-pyramid (TOP) patients. However, no significant difference emerges between BOP and TOP patients for inpatient or outpatient treatments. Qualitative findings based on 21 interviews with BOP consumers from selected slum areas led to the development of a grounded theory model, which highlights the role of aspirational demand of BOP patients toward private healthcare providers. Overall, healthcare provider choice emerges as the outcome of a collective socio-cultural decision-making process, which often assigns preference for private healthcare services because of the higher perceived quality of private providers, while downplaying affordability concerns. Implications for healthcare providers, social entrepreneurs, and policy-makers are discussed. Attitudinal Choquet integral (ACI) extends Choquet integral (CI) through a consideration of a decision‐maker's (DM's) attitudinal character. 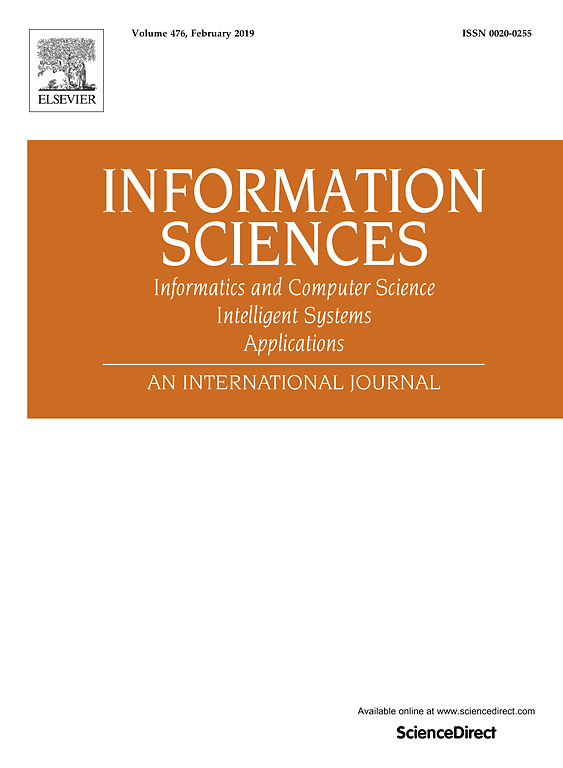 In this paper, we generalize ACI, and the resulting operator is termed as generalized ACI (GACI). GACI adds to the efficacy of the ACI in the representation of a DM's unique and complex attitudinal character. It also generates a vast range of exponential ACI operators, such as harmonic ACI, ACI, quadratic ACI, to name a few. We further present induced GACI to consider additional information that may be associated with the arguments of aggregation. The special cases of the proposed operators are investigated. 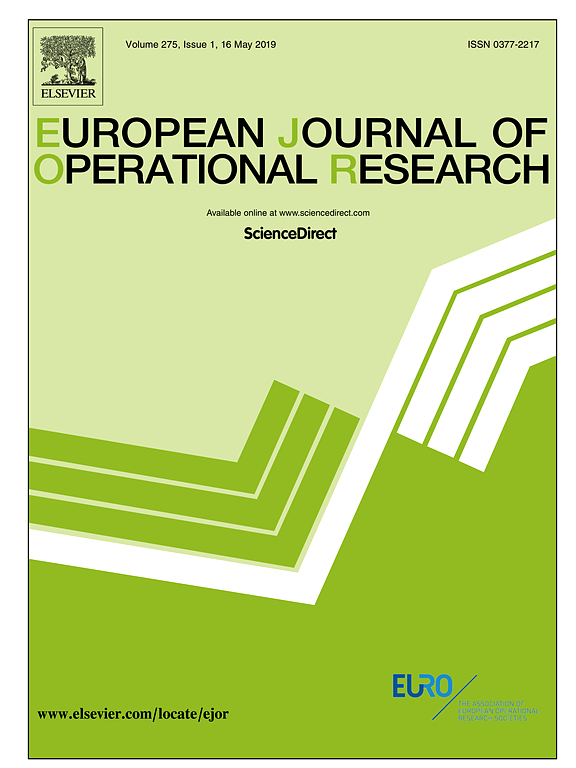 The usefulness of the proposed operators in modelling human decision behavior is shown through a case study. Urbanization is globally rampant; in developing countries such as India, it is driven in a phenomenal pace by an aspiring, young society and ambitious state policies to achieve a competitive space in global economy. "Smart cities" is a new-age term coined specifically to control, monitor, measure, and evaluate our urban growth, in a way to understand how conducive are our cities for running businesses. Global borders are diminishing, and world‐wide economies compete on multiple dimensions in a level playing field to participate and prosper in global markets. Cities are centers of economic activities, and the economic growth of a country largely depends on safe and supportive cities. Therefore, the need for smart cities is not difficult to establish. The more difficult questions are, "do we really know what a smart city is?" or "what are the elements that go into making an existing city smart?" Such questions are pertinent and timely. This paper attempts to answer these questions in a descriptive manner based on theoretical and empirical observations. We adopt an integrative approach of design conceptualization, policy building, and framework development, substantiated using an Indian city, namely, Kakinada in Andhra Pradesh State as an illustrative case. The recent information set theory provides a useful mechanism to represent an agent's perceived information values. However, often a decision-maker (DM) considers multiple evaluations for the same information source value. To this end, we extend the recent information set as hesitant information set (HIS). It gives the multiple perceived information values, corresponding to an information source value. In the context of multi-attribute decision making, HIS represents a set of different possible subjective utilities that an agent may perceive as an evaluation of an alternative-attribute pair. The basic operations, and properties of HIS are investigated. A few information measures based on HIS are presented. Besides many illustrative examples, a real application in group multi attribute decision making problem is included. The evaluation of the alternatives against multiple criteria is of the utmost importance in a multi-criteria decision making (MCDM) problem. It is often the case that the experts have a varying degree of confidence in their evaluations. That is, an evaluation has an associated degree of credibility. To take into account this crucial piece of information in determining the best choice, we present a new data structure. More specifically, we present a confidence-based soft set. We also extend the same to the fuzzy and intuitionistic fuzzy domains. The proposed concepts are elucidated through a number of illustrative examples. We establish their usefulness in a real case-study. 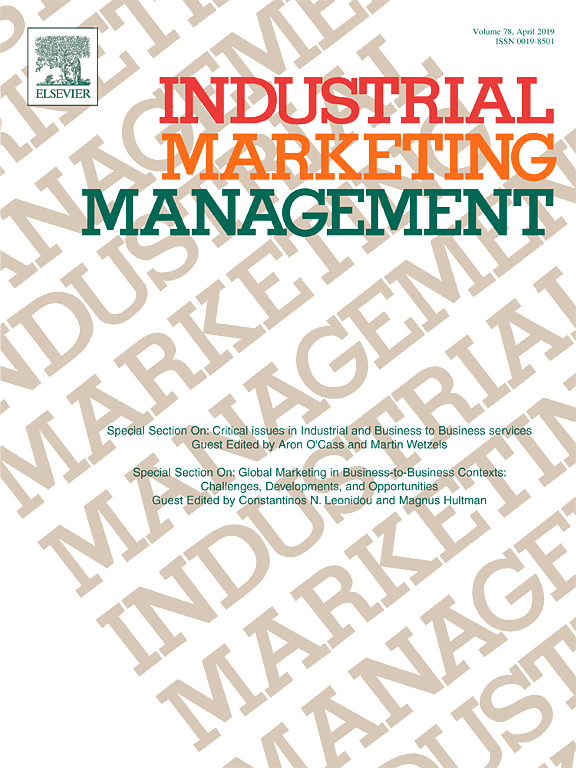 Co-Author: Niraj, Rakesh., Park, Chang Hee and Agarwal, Manoj K.
Trust is important for maintaining customer relationships in online retailing, as customers have only a virtual connection with sellers. This is especially true in online markets of emerging economies, given their lack of trust-enhancing infrastructure and well-functioning regulatory institutions. 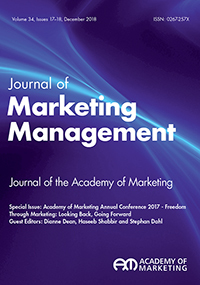 We investigate the effect of trust and a set of other relationship and transactional characteristics-mode of customer acquisition, length of relationship, service communication, product return activity, and type of products purchased-on retention in the context of emerging online markets. We obtain data from an online retailer in India that include both survey and transaction information. Using a latent attrition model, we find that trust positively affects customer retention behavior. We also find that relationship length, service communication, product return experience, and the type of products purchased affect retention. Furthermore, we conduct split-sample analysis and suggest some managerial actions on spending efforts to enhance retention. We study the pricing of equity options in India which is one of the world's largest options markets. 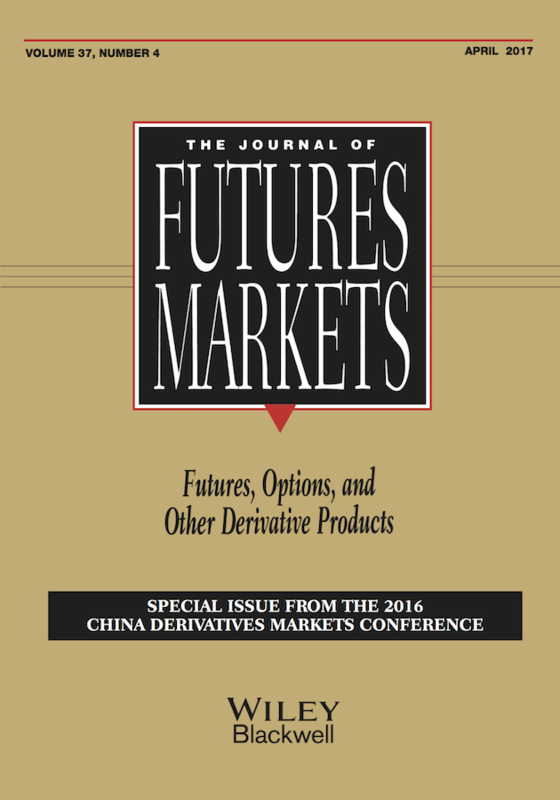 Our findings are supportive of market efficiency: A parsimonious smile-adjusted Black model fits option prices well, and the implied volatility (IV) has incremental predictive power for future volatility. However, the risk premium embedded in IV for Single Stock Options appears to be higher than in other markets. The study suggests that even a very liquid market with substantial participation of global institutional investors can have structural features that lead to systematic departures from the behavior of a fully rational market while being "microefficient." Co-Author: Vishwanathan, Saritha S., Fragkos, Panagiotis., Fragkiadakis, Kostas., and Paroussos, Leonidas. India's energy sector has grown rapidly in recent years with buildings playing a major role as they constitute about 40% of India's final energy demand. This paper provides a quantitative model-based assessment of the evolution of India's building sector in terms of both energy systems transition and its macroeconomic implications. 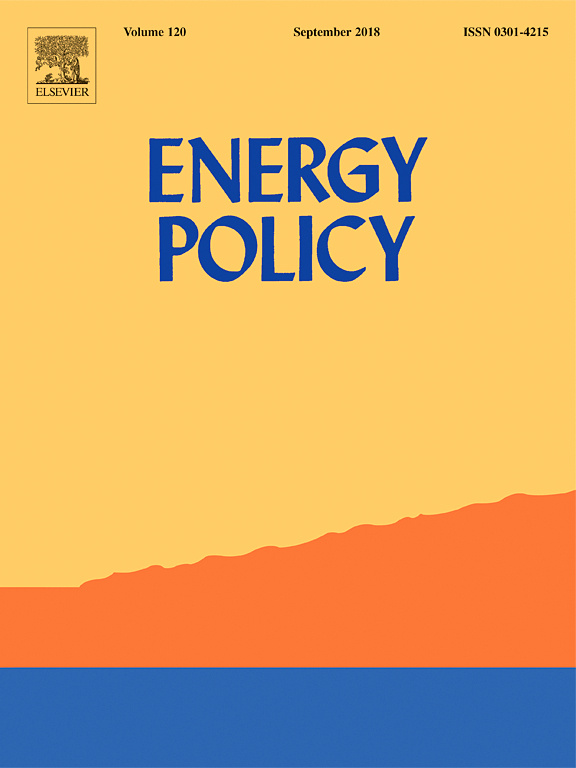 The coupling of a bottom-up technology-rich energy system model with a macroeconomic computable general equilibrium (CGE) model provides an innovative approach for the in-depth robust analysis of the energy transition in India's building stock and the induced macroeconomic and employment impacts on the Indian economy. Two main scenarios are explored, namely: the business-as-usual (BAU) and the advanced nationally determined contribution (Adv. NDC) scenarios. The investigation shows that efficiency improvements are vital to counteract the upward pressure on energy demand in the building sector. Energy demand in the building sector results in an increase of CO2 emissions by 27% between 2015 and 2030 due to the technology transition from inefficient solid fuels (traditional biomass) to cleaner energy (liquefied petroleum gas (LPG), piped natural gas (PNG)) before shifting to electricity. The Adv. NDC scenario also leads to a shift in employment from agriculture and towards sectors that benefit from the implementation of Adv. NDC, especially in the construction sectors, electricity and manufacturing sectors. Chakrabarti, Sandip :Can highway development promote employment growth in India? Title: Can highway development promote employment growth in India? India has embarked on an ambitious highway development program to significantly improve interstate road transport connectivity. Between 2000 and 2015, total length of India's national highway network has nearly doubled and 4 + lane share of the national highways has increased from 2 to 20%, along with associated improvements in safety and surface quality. National highway development is considered as a tool to promote employment growth by stimulating economic activities and attracting foreign investments. As India's central government continues to increase budget allocations for national highway projects in anticipation of generating more jobs, this study empirically investigates whether past investments can be linked to employment growth. I analyze changes in non-agricultural private sector employment over a 10-year period (2003-2012) across 25 states in response to changes in the density (lane-km per unit area) of national highways, controlling for other factors affecting employment. Using a series of static (pooled ordinary least squares, random-effects and fixed-effects) and dynamic (random- and fixed-effects with first-order autoregressive or AR(1) disturbances, and system GMM or generalized method of moments) panel regressions, I find that 10% increase in national highway density in India is associated with 1-6% (depending on model specification and estimation approach) increase in private sector employment, all else equal. This paper provides first empirical evidence suggesting that India's national highway development efforts have produced positive employment benefits in the past. In addition to contributing to transportation planning scholarship, the findings are expected to inform policy-makers in India as they develop future highway investment plans aimed, in part, at economic development. This paper will also be useful to decision-makers in other developing countries with comparable policy environments. The first-ever SO2 emission concentration standards for Indian coal-power plants were notified on December 7, 2015. In light of the new stringent standards, this paper conducts a techno-economic policy evaluation of SO2 abatement options by building a system-wide marginal abatement cost curve (MACC) for India. 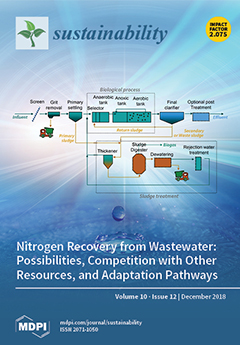 An abatement cost model is developed, to estimate retrofit costs for three end-of-process (EOP) SO2 abatement technologies. A system-wide SO2 MACC is derived based on cost optimal allocation of EOP abatement technology to each boiler. Compliance with the new stricter emission standards is evaluated at pollution reduction (≈ 4600 kt-SO2 reductions per year). Compliance with the new standard corresponds to a marginal abatement cost of INR 23,500 per ton of SO2 (≈USD 368.50 per ton of SO2) and total system-wide abatement cost of INR 75 billion (≈USD 1.2 billion) per year. Reduction in pollution is estimated to save 46,000 lives per year at the cost of about INR 1.63 million per life per year. Sensitivity analysis of the MAC curve shows that plant capacity utilization has the most significant impact on total lifetime compliance costs followed by equipment fixed cost, sorbent cost, and water cost in that order. 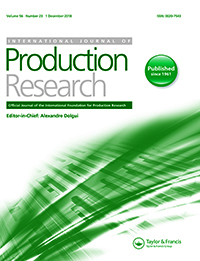 The impact of a Stochastic Linear Programming (SLP) based Decision Support System in a manufacturing company, such as an integrated aluminum plant, is measured by two important parameters, the VSS and EVPI. With the real data of an integrated steel plant in India, we demonstrate that SLP based DSS can be very effective in managing demand uncertainty and performing futuristic integrated planning, and their financial impact can be in millions of dollars. A two stage stochastic programming model with recourse is implemented in the DSS here. A set of experiments is conducted. Real data from an aluminum company is used to validate the system. The importance of SLP based DSS can be realized from the fact that the value of the stochastic solution (VSS) is USD 3.58 million with 30% demand variability and equally likely demand distribution. The VSS as a percentage of Expectation of Expected Value (EEV) ranges from 0.90% to 18.93% across experiments. The existing research on classification shifting has examined the manipulation of core earnings through shifting of core expenses to special items keeping the GAAP earnings constant. We examine the manipulation of gross profits through shifting of costs of goods sold to operating expenses keeping core earnings constant. We find that managers, on average, misclassify costs of goods sold as operating expenses in order to just meet prior period's gross margin. We also find that managers shift costs of goods sold to both selling, general and administrative expenses and research and development expenses. However, they are more likely to shift costs of goods sold to the latter. Co-Author: Kordrostami, Melika and Laczniak, Russell N.
Children's media socialisation, parental concerns, and mediation styles have been studied mainly in the US and Europe. The present research aims to extend media socialisation theory by investigating children's media behaviour and parental concerns and mediation styles in Iran, and then to compare the findings with the research based on parents in Western countries. Based on in-depth interviews with parents from Iran, we put forth propositions and a media socialisation model. We find that parental concerns and behaviour are influenced by their cultural practices and expectations, government regulations, and media dominant in the local region. Increasing global competition has intensified the use of informal sector workforce worldwide. This phenomenon is true with regard to India, where 92% of the workers hold precarious jobs. Our study examines the dynamics of workplace dignity in the context of Indian security guards deployed as contract labour by private suppliers, recognising that security guards' jobs were marked by easy access, low status, disrespect and precariousness. The experiences of guards serving bank ATMs were compared with those working in large reputed organisations. The former reported loss of dignity though their inherent self-worth remained partially intact, whereas the latter reclaimed dignity despite the precarious working conditions and the absence of unions. Guards from large reputed organisations evolved strategies by which they took advantage of the client's vulnerabilities, developed 'thick' relationships at work and immersed themselves in 'doing dignity work' to ensure that they are not disposable. 'Doing dignity work' was a visible device which involved actions that met or went beyond the norms laid down by the client and was used by security guards to limit the extent of their precariousness. 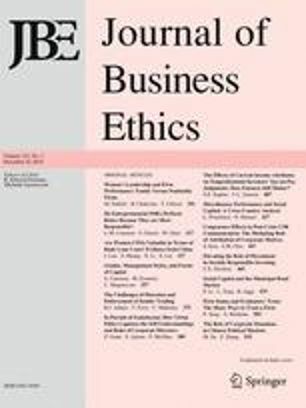 Since the opportunity to reclaim dignity was facilitated by large reputed clients' adherence to legal regulations, we see implications of the study for the moral economy. 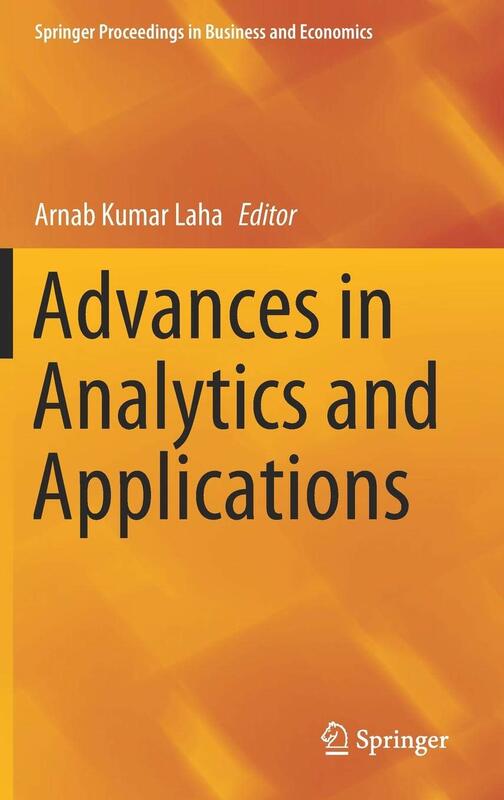 This book includes selected papers submitted to the ICADABAI-2017 conference, offering an overview of the new methodologies and presenting innovative applications that are of interest to both academicians and practitioners working in the area of analytics. 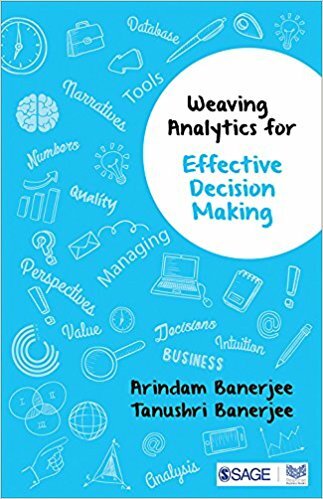 It discusses predictive analytics applications, machine learning applications, human resource analytics, operations analytics, analytics in finance, methodology and econometric applications. The papers in the predictive analytics applications section discuss web analytics, email marketing, customer churn prediction, retail analytics and sports analytics. The section on machine learning applications then examines healthcare analytics, insurance analytics and machine analytics using different innovative machine learning techniques. Human resource analytics addresses important issues relating to talent acquisition and employability using analytics, while a paper in the section on operations analytics describe an innovative application in oil and gas industry. The papers in the analytics in finance part discuss the use of analytical tools in banking and commodity markets, and lastly the econometric applications part presents interesting banking and insurance applications. Aadhaar, India's unique identity system, was introduced in 2009 with the stated purpose of creating a more inclusive and efficient welfare system. Hundreds of millions of Indians were enrolled into the biometric database, with successive governments creating pressure by making it compulsory for social benefits. Even after the Supreme Court verdict in 2018, it remains a must-have for welfare. Dissent on Aadhaar argues that Aadhaar was never really about welfare. The essays in this book explain how the project opens the doors to immense opportunities for government surveillance and commercial data-mining. 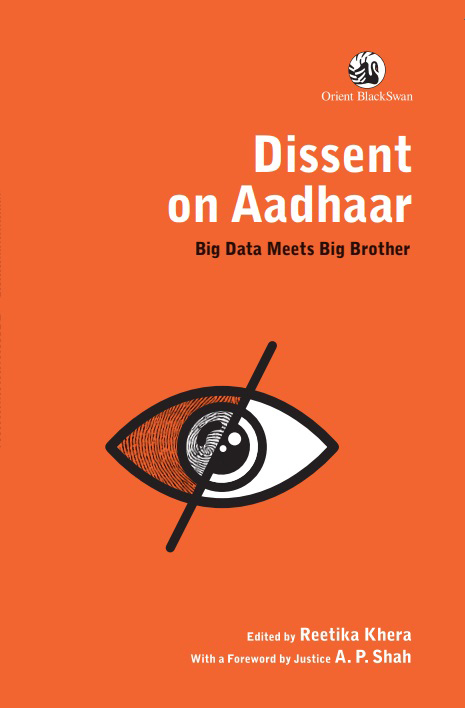 Focussing on Aadhaar, but drawing lessons from ID projects from other parts of the world also, this book alerts readers to the dangers lurking in such expansive digital ID projects. 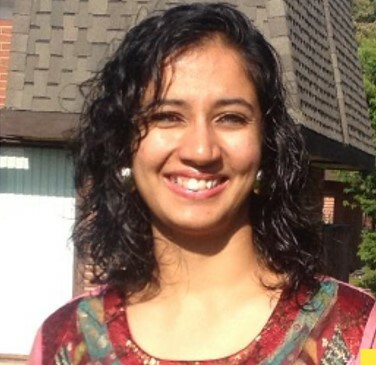 For example, how profiling, made possible by Aadhaar, impinges on the fundamental Right to Privacy; or how surveillance leads to self-censorship and can choke free thought and expression; or how Aadhaar, contrary to government claims, excludes people entitled by right from welfare when made compulsory. On the technology side, what are the perils of using biometrics and the dangers arising from centralised databases? Who has access to all our data, and how can it be used against us? 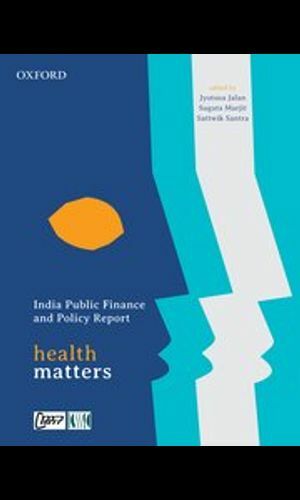 With contributions from economists, lawyers, technologists, journalists and civil liberties campaigners, this book is for everyone concerned about a healthy democracy in India and beyond. It will be also be of interest to students and scholars of political science, law and public policy. In the race to admit more and more children in privately run, English-medium schools and orient them to a world of cut-throat competition and grades-based performance, the quality of education is suffering. Children, teachers and, of course, educational institutions themselves are constantly struggling to survive in such an atmosphere. However, while most schools play to the gallery, there are some that have attempted to swim against the current. They aim for the overall development of their students and try to establish a healthy learning environment. 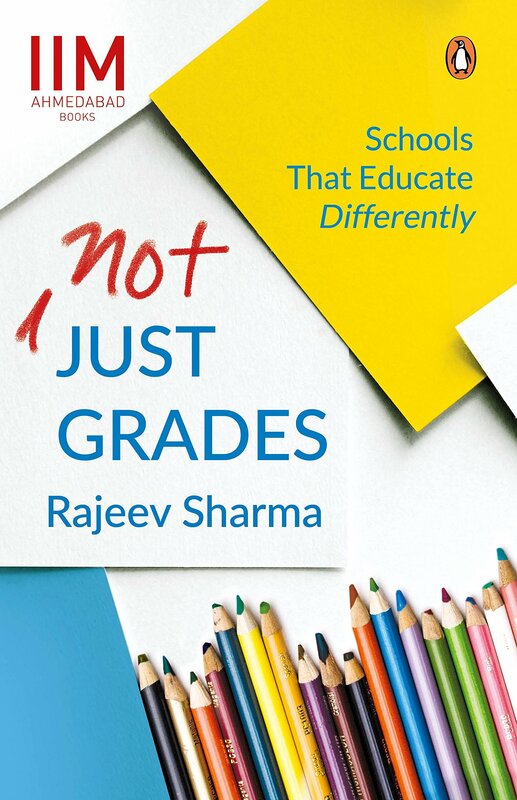 Not Just Grades is about schools that have proved that it is possible to weave positive personal development together with academic excellence. Innovative and full of creative ideas, these schools have a made in difference in imparting education in the absence of extensive resources or capital. From adventure to indenture, martyrs to merchants, Partition to plantation, from Kashmir to Kerala, Japan to Jamaica and beyond, the many facets of the great migrations of India and the world are mapped in India Moving, the first book of its kind. 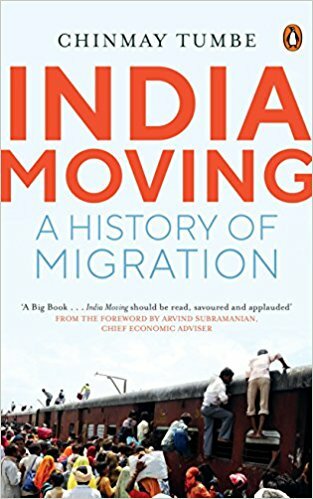 To understand how millions of people have moved-from, to and within India-the book embarks on a journey laced with evidence, argument and wit, providing insights into topics like the slave trade and migration of workers, travelling business communities such as the Marwaris, Gujaratis and Chettiars, refugee crises and the roots of contemporary mass migration from Bihar and Kerala, covering terrain that often includes diverse items such as mangoes, dosas and pressure cookers. India Moving shows the scale and variety of Indian migration and argues that greater mobility is a prerequisite for maintaining the country's pluralistic traditions. This book, recognizing that workplace bullying is a significant employment relations and occupational health and safety problem in India which warrants urgent and holistic intervention, presents empirical studies examining contextual factors, antecedents, mediators, moderators, processes, outcomes and solutions, thereby deepening our understanding of the phenomenon. The chapters showcased in the volume emphasize the paradoxical Indian sociocultural ethos whose simultaneous embrace of humanism versus identity-based, personalized and hierarchical relationships, materialism versus spiritualism and individualism versus collectivism both fuel yet quell misbehaviour. The inquiries which constitute this book engage both positivist and postpostivist paradigms, draw on several theoretical and substantive frameworks, utilize an array of methods, investigate numerous foci and cover various geographical regions in India, a range of industrial sectors and all levels of the organization. In so doing, they make pathbreaking contributions beyond country-specific insights to advance the frontiers of the thematic area worldwide. 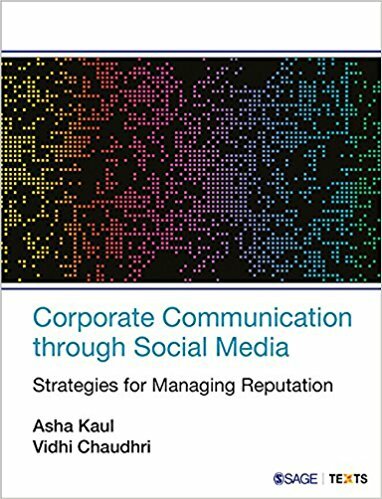 The chapters include important findings pertaining to digital workplaces, child labour, forgiveness, customer bullying, psychological contract violation, perceived organizational support, psychological capital and comprehensive prevention strategies encompassing psychosocial risks. As well as building on a decade of knowledge about workplace bullying in India, the book puts forward a research agenda on the topic for the subcontinent in particular and the field in general. The volume is of interest to researchers, practitioners and students of organizational studies, human resource management, industrial relations, labour law, corporate law, health sciences and social work. The work provides an excellent overview of Atomic Energy Regulatory Board's regulatory structure, the facilities and activities it regulates. Further, it also discusses its regulatory requirements and regulatory process; and its ethics. This handbook is easy to use for teaching and training purposes, yet comprehensive in scope. 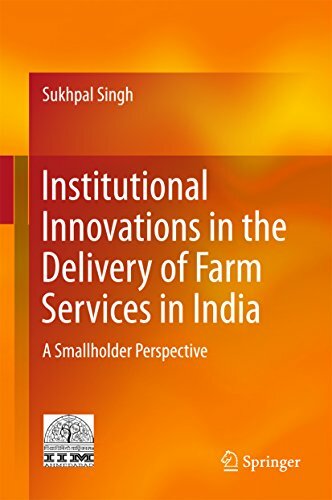 This book uses primary evidence to assess the value of agro-input and service delivery business models in terms of their inclusiveness, effectiveness and impact from a small farmer perspective, in the form of case studies in three Indian states: Punjab, Bihar and Uttar Pradesh. The services discussed include custom rental of farm machinery and equipment, franchising for backward and forward linkage for farmers and the supermarkets for delivery of farm inputs, and extension services. The book examines agro-input and service delivery business models as institutional innovations for inclusive and effective delivery of such services in the small farmer context, based on primary data from the agencies designing and implementing such models and the farmers who make use of these inputs and services. Further, it identifies major issues and challenges in the delivery of farm inputs and services across regions and types of farmers and examines possible policy and enabling provisions to promote cost-effective and high-quality agro-input delivery channels. 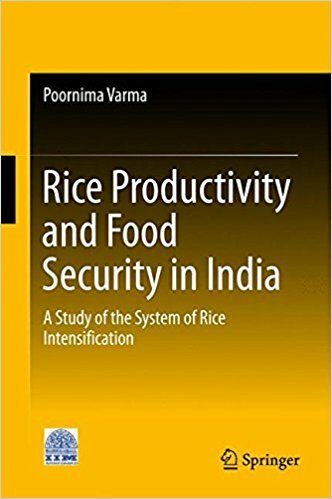 This book contributes to the adoption of agricultural technology in general and to literature on the System of Rice Intensification (SRI) in particular by identifying the factors that influence the decision to adopt SRI and examining SRI's impact on household income and yield. The study also discusses the importance of SRI in achieving higher rice productivity and food security. Conducted on behalf of the Government of India's Ministry of Agriculture from October 2014 to March 2016, the study collected detailed and extensive household-level data. As the second largest producer and consumer, India plays an important role in the global rice economy. Food security in India has been traditionally defined as having a sufficient supply of rice at an affordable price. However, in recent years rice cultivation in India has suffered from several interrelated problems. Increased yields achieved during the green revolution period and with the help of input-intensive methods involving high water and fertiliser use are now showing signs of stagnation and concomitant environmental problems due to salinisation and waterlogging of fields. Water resources are also limited; as such, water for irrigation must contend with increasing industrial and urban needs. As a result of all these factors, rice farmers have experienced a downturn in productivity growth. Since increasing the area of rice cultivation is not feasible, the additional production has to be achieved using less land, less water and fewer additional inputs. The new intensification methods for rice cultivation known as the System of Rice Intensification (SRI), which originated in Madagascar, offer a promising systemic approach to enhancing rice production at affordable costs by simultaneously reducing input requirements and causing less harm to the environment. The SRI approach is expected to enhance yield and substantially reduce water and other input requirements by altering plant, soil, water and nutrient management practices. With SRI taking firm root in India, the book examines and analyses the adoption and the economic impact of SRI in three major rice producing States of India: Karnataka, Madhya Pradesh and Orissa. A cancer prognosis has the tendency to knock patients and their family off their feet. Nothing can prepare people for the big "C" and it often feels like they are losing control over their own life, where nothing will be the same again. 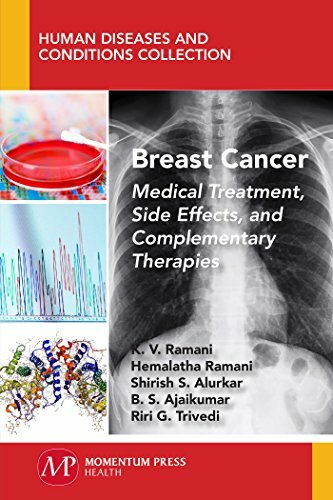 This book takes readers through the journey of Prema (diagnosed with breast cancer) and Prem (her caregiver) and covers the whole gamut of processes in cancer treatment and care in a simple language: diagnosis, medical treatment options, physical and psychosocial side effects, complementary therapies, and the importance of patient-centric care to improve the quality of life of breast cancer survivors. We hope future breast cancer patients and their families will benefit from our book and prepare themselves to face the challenges of dealing with breast cancer. 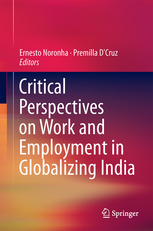 This book showcases issues of work and employment in contemporary India through a critical lens, serving as a systematic, scholarly and rigorous resource which provides an alternate view to the glowing metanarrative of the subcontinent's ongoing economic growth in today's globalized world. Critical approaches ensure that divergent and marginalized voices are highlighted, promoting a more measured perspective of entrenched standpoints. In casting social reality differently, a quest for solutions that reshape current dynamics is triggered. The volume spans five thematic areas, subsuming a range of economic sectors. India is a pre-eminent destination for offshoring, underscoring the relevance of global production networks (Theme 1). Yet, the creation of jobs has not transformed employment patterns in the country but rather accentuated informalization and casualization (Theme 2). Indeed, even India's ICT-related sectors, perceived as mascots of modernity and vehicles for upward mobility, raise questions about the extent of social upgrading (Theme 3). Nonetheless, these various developments have not been accompanied by collective action―instead; there is growing evidence of diminished pluralistic employment relations strategies (Theme 4). Emergent concerns about work and employment such as gestational surrogacy and expatriate experiences attest to the evolving complexities associated with offshoring (Theme 5). 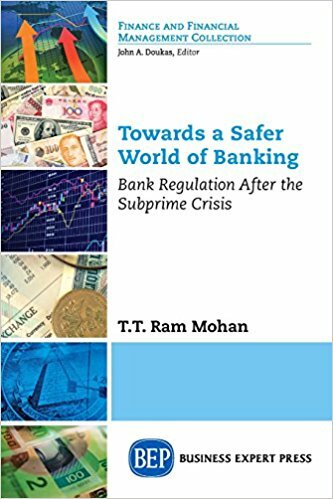 The book contends that, while several factors can be blamed for the financial crisis of 2007, a failure of regulation was the most important one. The changes to bank regulation that have happened since are not good enough to make the banking system a great deal safer than before We need to look at radical, out-of-the-box solutions if another major financial upheaval is to be prevented. Fuel efficiency standards, solar rooftop systems, public transport improvements - these are just a few of the success stories detailed in two new Copenhagen Centre reports on energy efficiency in China and India. Going back as far as 2000, the reports present the most successful and effective policies and measures of the world's two largest developing countries as part of an ongoing study initiated by C2E2 entitled "High Impact Opportunities for Energy Efficiency Improvement in China and India." While energy demand has increased, the report notes that the energy intensity of the Chinese economy declined by thirty per cent from 2000 to 2015, due to technological progress and a long list of energy efficiency policies and measures. As regards India, where economic growth has been slower, the report emphasises that enhancing energy efficiency is one of the cheapest ways to "produce" energy. Eight best practices are covered in the China report, including building retrofits, efficient household appliances, and vehicles that use less, or alternative fuels. 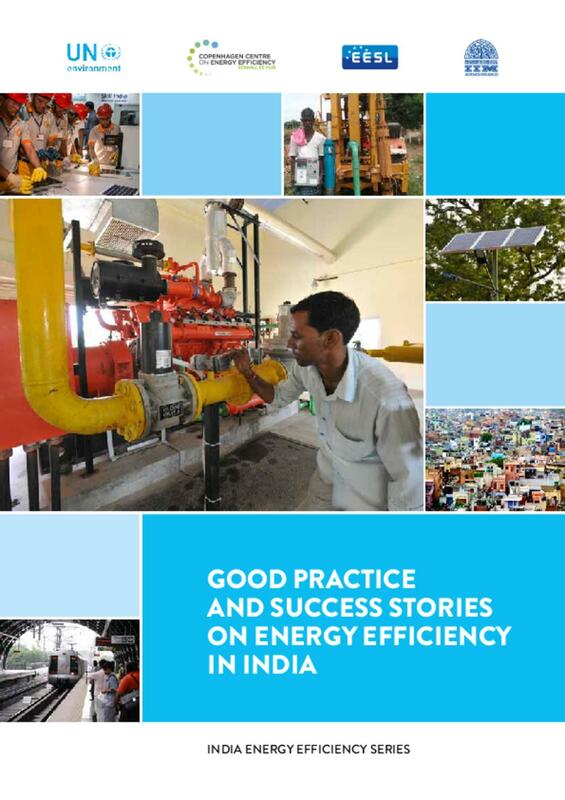 The India report presents 11 success stories, such as efficient cook stove programs, LED lighting promotions, and water pumps for irrigation. The projects behind these success stories and best practices can be replicated and scaled up in both China and India, helping to accelerate energy efficiency improvements in these countries, as well as serving as examples for others that are in the process of designing policies and programmes. This book helps readers understand the concepts of marketed and marketable surplus, as well as the role of the government and marketing agencies, including those in the private sector, in improving market efficiency. 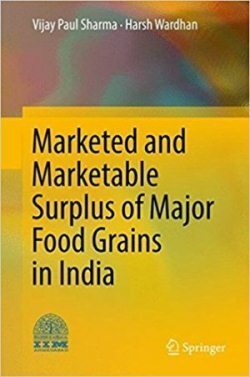 It also examines the impact of various socioeconomic, technological, institutional, infrastructure, and price factors on the marketed surplus of major crops. While Indian agriculture has become increasingly market-oriented and monetized, the importance of market orientation of agriculture is also being recognized at the international level. The proportion of agricultural production that is marketed by farmers has increased significantly over the last few decades in India: in the early 1950s, about 30-35 per cent of food grains output was marketed, which has now increased to more than 70 per cent. In this context, the marketed surplus is proportionately higher in the case of commercial crops than subsistence crops. Recognizing its importance, the Government of India initiated a nation-wide survey to estimate marketable surplus and post-harvest losses in the early 1970s, which continued up to the late 1990s. As Indian agriculture, has undergone significant transformation, and no reliable estimates of marketed and marketable surplus are available, the study was conducted to estimate the marketed and marketable surplus of major food crops in leading producing states, and to examine important factors which determine the level of marketed surplus for various categories of farms. The results of this study offer a valuable resource for designing effective food procurement, distribution and price policies. Further, they provide reliable estimates of household farm retention pattern for self-consumption, seed, feed, wages and other payments in kind, which can be used as the basis for planning infrastructure development of storage and distribution. This essential information can help policy-makers determine how much marketed surplus is generated by the different categories of farmers and how marketable surplus would respond to changes in diverse economic and non-economic variables, allowing them to design policies accordingly. 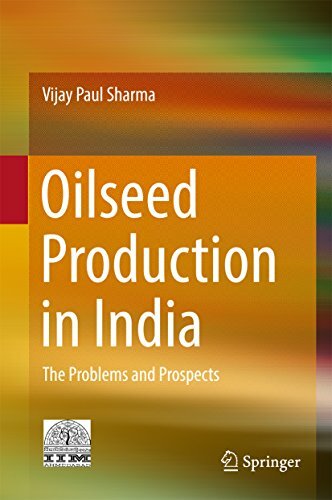 This book analyses the performance and potential of India's oilseed sector, identifies the major constraints facing the industry and suggests options for increasing the country's oilseed production and productivity, taking into account the changing policy environment, increasing demand, slow growth in domestic production and rising imports. India as the world's largest producer of oilseeds, accounts for about 7-8 per cent of global vegetable oil production. However, the growth in domestic production has not kept pace with the growth in demand. Low yields and high production and market risks due to lack of irrigation facilities and effective risk management have been responsible for widening the demand-supply gap over the years, and the country now imports more than half of its oilseed for domestic consumption. The Technology Mission on Oilseeds (TMO), launched in the mid-1980s, helped achieve self-sufficiency in edible oil production through the spread of technology and the provision of market support. However, increasing demand for edible oils necessitated imports in large quantities, leading to a substantial drain on foreign exchange. Given the competing demands on agricultural land from various crops and enterprises, the production of oilseeds can be increased only if productivity is improved significantly and farmers receive remunerative prices and have assured market access. However, farmers face various constraints in oilseed production; several biotic, abiotic, technological, institutional and socio-economic constraints inhibit exploitation of the full yield potential of crops, which need to be addressed. The book explores these issues using data collected from about 2,000 oilseed growers: 490 soybean farmers, 316 rapeseed-mustard growers, 470 groundnut farmers, 250 sesamum farmers and 470 sunflower growers from selected Indian states. It would be of immense use for scholars and policy makers alike who are working in this field. Can managerial productivity be measured? In management, we continue to take many things for granted and not question the unthought, unexplained knowns. Why are women under-represented in parliament and in several corporate boards? Is management an art, a science or a craft? Most practitioners merely skim over these conundrums, without ever delving into it. 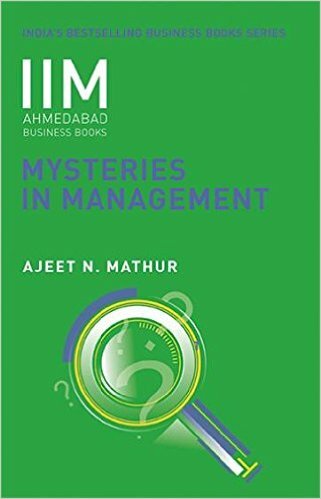 Professor Ajeet N. Mathur has designed an exciting, new course titled Mysteries in Management for the flagship MBA (PGP) programme at IIM Ahmedabad, in which selected mysteries that continue to persist in the field of management are discussed. This book includes ten carefully selected mysteries and the author, armed with credible research and revealing examples, tries to demystify them. Accessible and eminently readable, the logic behind these will surprise and delight readers in equal measure. This book presents a comprehensive framework of the psychological contract. 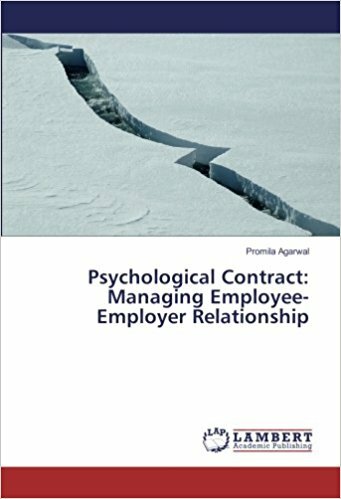 The exhaustive synthesis of review of literature promises to provide a holistic picture of psychological contract to the scholars interested in the field of psychological contract and employee relations. It highlights the gap that contributes in taking this concept forward. Practitioners can use this book for managing the psychological contract with employees. Biotechnology can bring major breakthroughs in agriculture. 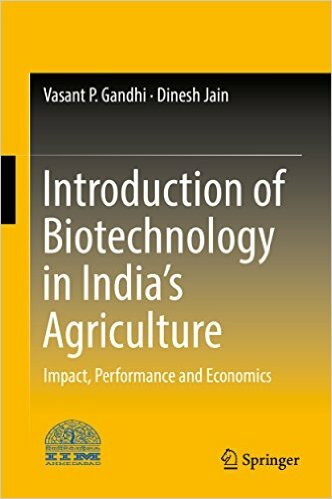 The book examines the experience of introduction of biotechnology in Indian agriculture, specifically, examining the performance of Bt cotton versus non-Bt cotton across India's major cotton states, namely Andhra Pradesh, Gujarat, Maharashtra and Tamil Nadu, which together account for nearly 70 percent of the country's cotton production. Major advances in biotechnology have made it possible to directly identify genes, determine their functions, and transfer them from one organism to another. The advances have spawned many technologies and Bt cotton is one important outcome. Bt cotton has become one of the most widely cultivated transgenic crops and is currently grown in 21 countries - 11 developing and 10 industrialized countries. The Government of India was relatively late in permitting biotechnology, only approving the cultivation of three transgenic Bt cotton hybrids from April 2002. Many concerns were raised about their performance there was strong opposition from some quarters. In India, Gujarat and Maharastra were the first states to adopt them, followed by Andhra Pradesh, Karnataka, Tamil Nadu and Madhya Pradesh. Based on a sample of 694 farming households, the book examines and analyzes the performance on the yields, pesticide costs, seed costs, overall production costs and profits. It also reports on the environmental impacts, satisfaction with the technology and ways of improving its performance. A moral dilemma gripped Professor Gupta when he was invited by the Bangladeshi government to help restructure their agricultural sector in 1985. He noticed how the marginalized farmers were being paid poorly for their otherwise unmatched knowledge. The gross injustice of this constant imbalance led Professor Gupta to found what would turn into a resounding social and ethical movement the Honey Bee Network bringing together and elevating thousands of grassroots innovators. For over two decades, Professor Gupta has travelled through rural lands unearthing innovations by the ranks from the famed Mitti Cool refrigerator to the footbridge of Meghalaya. He insists that to fight the largest and most persistent problems of the world we must eschew expensive research labs and instead, look towards ordinary folk. Innovation that oft-flung around word is stripped to its core in this book. 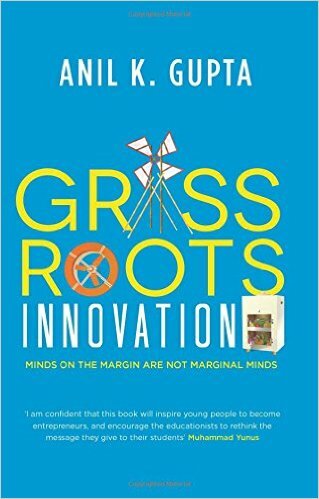 Poignant and personal, Grassroots Innovation is an important treatise from a social crusader of our time. 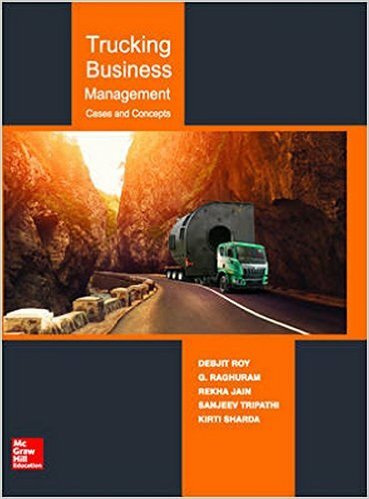 Trucking Business Management is a compilation of cases authored by professors and researchers of IIM Ahmedabad in the field of road transportation. It is an attempt to fill the business-practice gap and impart a professional approach towards enabling the trucking business to grow. This book offers a collection of cases and related reading material. It will serve as a good resource for learning in the courses related to trucking, transport and logistics management. 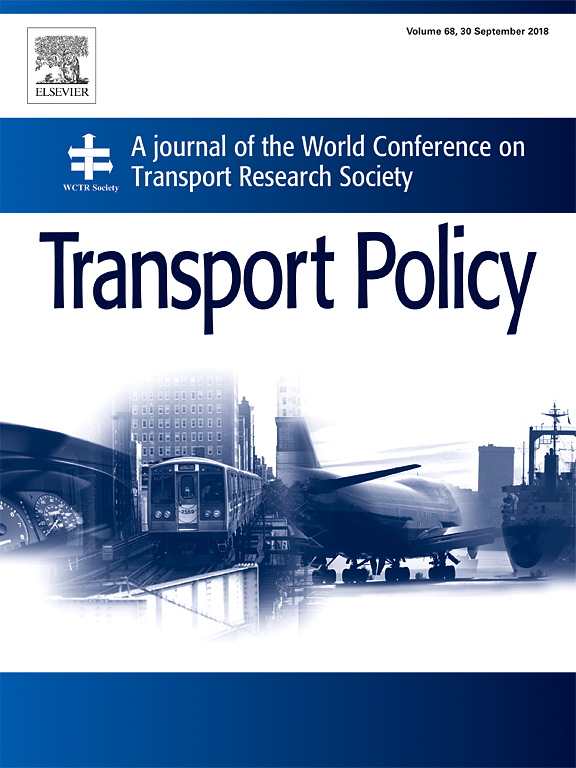 It will also be useful for managers in the transport industry and researchers in the field. 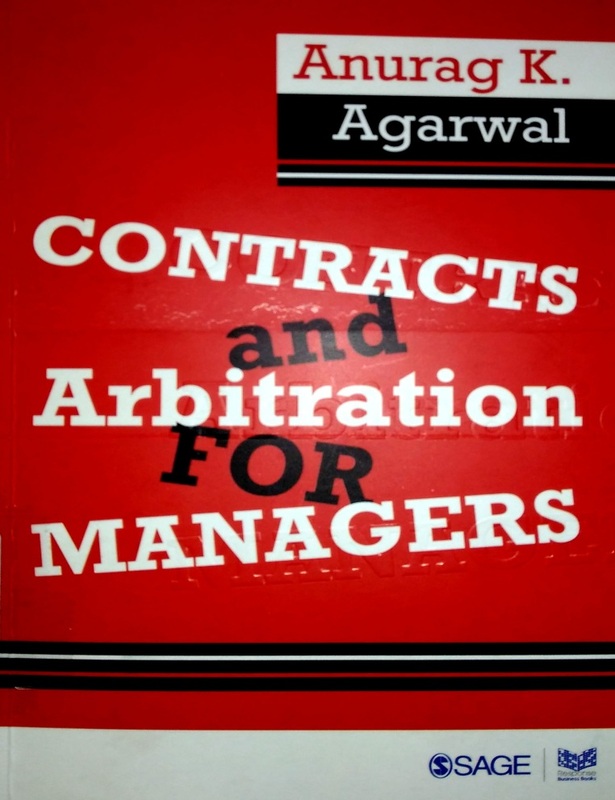 This is an outstanding book written authoritatively on the topic of contract and arbitration. 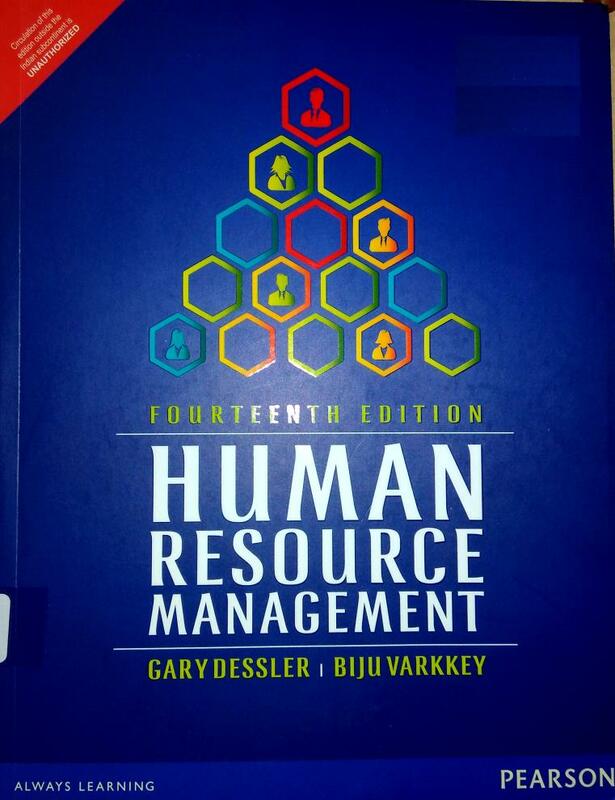 It fills a huge void on the topic and would be useful and of great interest to every business manager at all levels. 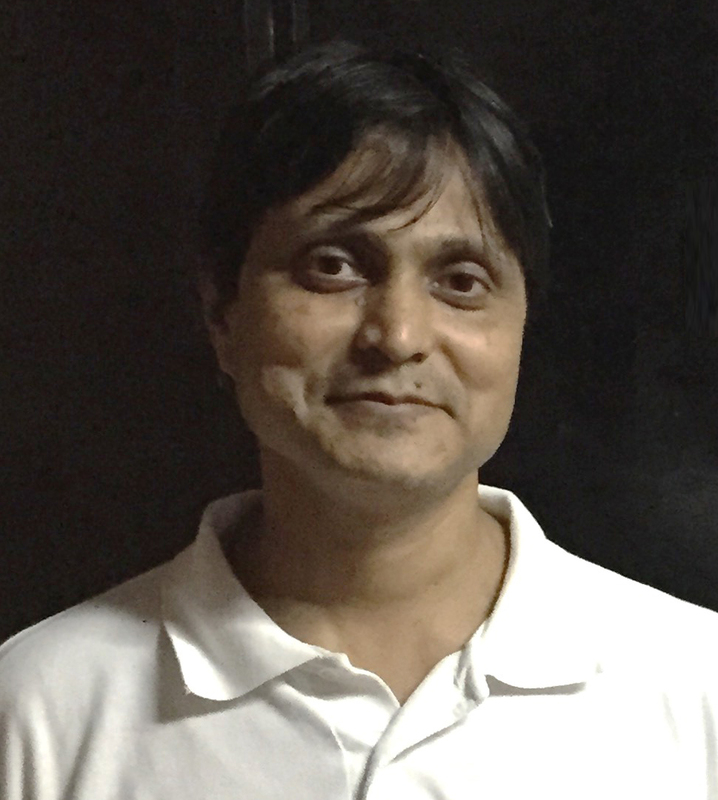 Professor Agarwal's academic distinction and professional brilliance in engineering and law with a vast experience on these subjects make him ideally suited to write the book: A unique book of its kind. (Bishwajit Bhattacharyya,) Professor Agarwal has straddled business, law and academia providing his book with the rigour of a researcher, the world view of management and the practical issues noticed by lawyers in their professional life. His multiple viewpoints strengthened by his interaction with industry participants at the IIM Ahmedabad (IIMA) campus give him a strong foundation on the subject which is never divorced from reality. This is a must-read for managers, students and law professionals who are interested in the subject. 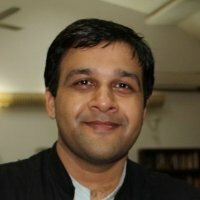 (Sandeep Parekh,) I am happy to know that Professor Anurag K. Agarwal, an engineer turned lawyer, turned Professor of business law at IIMA has come out with another unconventional book titled Contracts and Arbitration for Managers, bringing holistic perspective of the concept of contract and arbitration with a practical approach. In the post-liberalisation era, it is fairly common for commercial contracts, whether with private corporations or with the government, to usually contain an arbitration clause, which requires sound legal strategy right from the language of terms of contract including arbitration clause, till the execution/enforcement stage. I am sure stakeholders will find this book to be a complete encyclopaedia on the subject. (Justice N.N. Mathur,) It is one of the most lucid read. Only Professor Agarwal could pull up such a work, where the intricate concept of laws are explained in the most understandable terms. I believe it is a must-read for corporate managers. Especially in modern times when every manager is facing issues with contract management and alternative dispute resolution, this book comes as an interesting read. I have had the occasion of attending Professor Agarwal's classes during my MBA days from IIMA. Let me say there are very few teachers who can teach the complex legal principles in such simple language. Most of my understanding of contract laws and international commercial arbitration is courtesy the teachings of Professor Agarwal. I can say he is one of the best teachers that IIMA has. 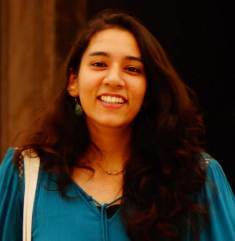 (Mukul Shastry,) Ten years back, during my brief stint as an intern under Professor Agarwal, one of the projects I loved working on was in relation to mental health laws in India and abroad. As it was my first internship, I tried hard to include all relevant sections of the legislations. When I took my work over to him, he asked me if I had watched the movies Seema and Sadma. We saw portions of both movies in his chamber and debated over unsoundness of mind and consent. He always managed to bring any subject alive. That is exactly what he has done with this book. Is Shahrukh Khan an effective actor? Is Naresh Trehan an effective doctor? Was A.P.J. Abdul Kalam an effective nation builder? Are you an effective person? In this book, bestselling author T.V. Rao studies and analyses effective doctors, actors, civil servants, social workers, educationists, nation builders and entrepreneurs. Some of them seem to go beyond the tenets of effectiveness and shine out as what the author calls Very Effective People and Super Effective People. Gauging patterns and lessons from these inspiring people, Prof. Rao demonstrates how we can push ourselves to become effective, and ultimately super effective. His diverse examples and cases range from A.P.J. Abdul Kalam, Devi Shetty, Anil Gupta, to Kangana Ranaut, Sachin Tendulkar, Anupam Kher-to ordinary people whose lives are no less effective. 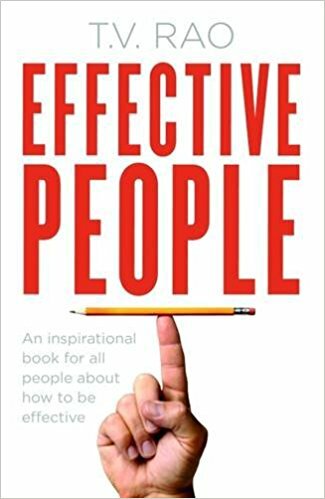 Hugely readable, with self-assessment tools at the end of each chapter, Effective People will propel you to leap forward and discover the best in you. 'Success is at thief; failure is a fortune'-R. Gopalakrishnan, Director, Tata Sons Ltd Convocation is a magical time for graduates-it is liberating and petrifying in equal measure. It is tradition to invite a noted personality to deliver an address which can rouse the students to step into the real world with courage, motivation and enthusiasm. This book brings together twenty convocation speeches delivered at the greatest management institutes in this country by eminent personalities like A.P.J. Abdul Kalam, Deepak Parekh, Subrato Bagchi, Indra Nooyi and Anand Mahindra. This book also offers reflections from experts who analyse these speeches, and delves into the art of inspiring communication. 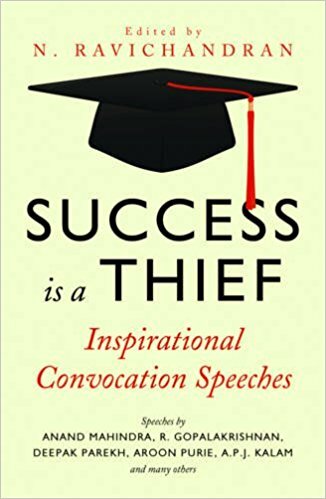 Stimulating and inspiring, Success is a Thief is a must on every bookshelf. The Vikram Sarabhai Library (VSL) is named after Dr. Vikram Sarabhai, world renowned physicist and founding Director of IIMA. It was set up in 1962 and is one of the best management libraries in Asia. The library is open 24x7. Our mission is to facilitate convenient and user friendly access to current, global and relevant information by identifying, acquiring, organizing and retrieving information in various formats (print & non print) to serve the information needs of the academic fraternity of IIMA to meet their teaching, research, consulting, training and learning requirements.